A variant of the higher covariant derivative regularization is used for calculation of a two-loop β-function for the general renormalizable N = 1 supersymmetric theory. It is shown that the β-function is given by integrals of total derivatives. 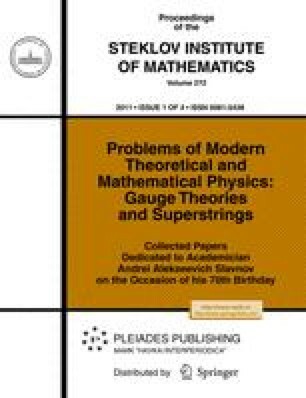 Partially this can be explained by substituting solutions of Slavnov-Taylor identities into the Schwinger-Dyson equations. Published in Russian in Trudy Matematicheskogo Instituta imeni V.A. Steklova, 2011, Vol. 272, pp. 266–276.